In Ghost Recon Wildlands, you have skills trees where you can learn and improve your character's abilities. In order to distribute points in these trees, you must collect resources and, if necessary, ascend to the level. In each section, you can choose specific skills that fit your style. For example, the drone can be improved or increased stability during shooting. In this guide, we will show you the best five skills that you can get at the beginning of the game to simplify your missions in Bolivia. The grenade is a modification for many different weapons. It is ideal for destroying enemy helicopters that attack you from the air during your missions. 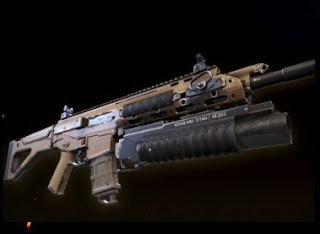 This weapon is also effective in the fight against Unidad troops or other opponents that attack you on foot. If you are behind a wall or in a building, it often happens that the opponents are grouped around the corner. This creates an advantageous scenario for the grenade launcher, which shows its full potential in enemy groups. You will find the grenade launcher in the Weapon category. The first point in this ability unlocks the grenade, and additional points increase the number of grenades. As you can see from the name, you get a higher bullet resistance through this skill. So you have more health points. Especially, when playing on the highest difficulty in Ghost Recon Wildlands, this skill is an advantage. Because enemies are no longer displayed before the attack on the minimap, surprise moments are created. If you use this skill to shoot more bullets before you land, it can help each player. The ability bullet resistance can be found in the Body category. Each point in this skill increases your resistance by 5%. You can get a maximum of 20% Bullet Resistance. This skill is mainly aimed at the players who like to stand in the front rows or storm houses. Often, opponents wait behind doors or corners that surprise. If you have less hip fire spread, you have a higher precision without having to right-click - and this saves you important time. For Sniper, this skill is not so good, because they shoot from the rear rows and the free shooting will hardly use. You can find scattering in free shooting in the weapon category. Each point reduces the spread by 10% to a maximum of 40%. The drone is an important tool for enlightening enemy areas. Here a few skill points to use to improve the drone is important for each squad. Without the upgraded, the drone battery will drain quickly and your exploration flight breaks off. If you improve this skill four times, you practically remove the time limit of the drone and have much more time to explore alien areas. Thus, attacks are much easier to plan. You will find the battery skill in the drone category. A point in this ability is advised by any player who wants to improve his drone. An important point in Ghost Recon Wildlands is running. If you hold down Shift while moving, your character will run faster. But sometime you run out stamina. Then your slow down and can not sprint for a certain time. You can increase your stamina by improving skill with skill points. This allows you to run longer distances without having to bother. You will find the stamina skill in the Body category. Each point increases stamina by 20% to a maximum of 80%. In Ghost Recon Wildlands, you often have the option of jumping from helicopters or airplanes, and you can then watch the landscape while you are gliding towards the destination area. This is not only fun, but also saves lives if you are on the road with inexperienced pilots. 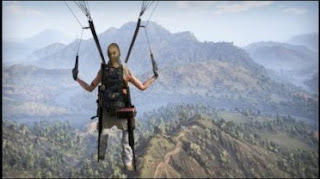 You will find the parachute skill in the Object category.